A recent analysis found 57,000 of the region’s homes are vacation or second homes that often sit vacant, exacerbating the housing crisis because they’re unavailable to people who live and work here, or would like to. There’s been much hand-wringing about homes pulled from the housing stock as San Diego wrestles with a housing shortage and the rise of sites like Airbnb that make it easier to host tourists. But there’s little data out there on existing homes that are not available to long-term renters, how this has changed over time and what that means for San Diego’s housing crisis. So SANDAG, the county’s regional planning agency, sought to estimate how many homes are unavailable to San Diegans as part of a larger effort to project how many homes the region needs to build by 2050 to keep up with demand. SANDAG’s new estimate suggests the county has nearly double the number of homes unavailable to residents than it has been able to permit over the last three years. The analysis relied on multiple data sets, including census tract-level vacancy rate estimates from the 2010 census, more recent population projections from the state Department of Finance and regional land use information from sources such as the San Diego County Assessor’s Office. Researchers pulled data on cities and census blocks across the county, assuming that areas with higher vacancy rates housed more vacation or second homes. The conclusion: Nearly 5 percent of homes countywide may be second homes or vacation homes – and Coronado, Solana Beach and Del Mar alone could be home to more than 3,200 of them. Thousands more homes sit empty in the far reaches of East County, the SANDAG analysis found. SANDAG’s conclusion is close to a 2016 American Community Survey estimate, which suggested just under 64,000 homes countywide were unoccupied but not for rent or sale. Neither the American Community Survey data nor the SANDAG estimate directly addresses a common claim by vacation-rental opponents that homes that would otherwise be rented to San Diego residents are instead hosting out-of-towners for a shorter period. That’s because the SANDAG data does not distinguish between which homes are rented out as short-term rentals and which are second homes owned by people who only stay in San Diego for part of the year. At least one of SANDAG’s conclusions seems to match up with a past analysis that focused on vacation rentals. Last December, San Francisco-based Host Compliance, which monitors vacation rental sites, captured data from vacation rental sites at Voice of San Diego’s request and found 8,855 homes being advertised in the city of San Diego. 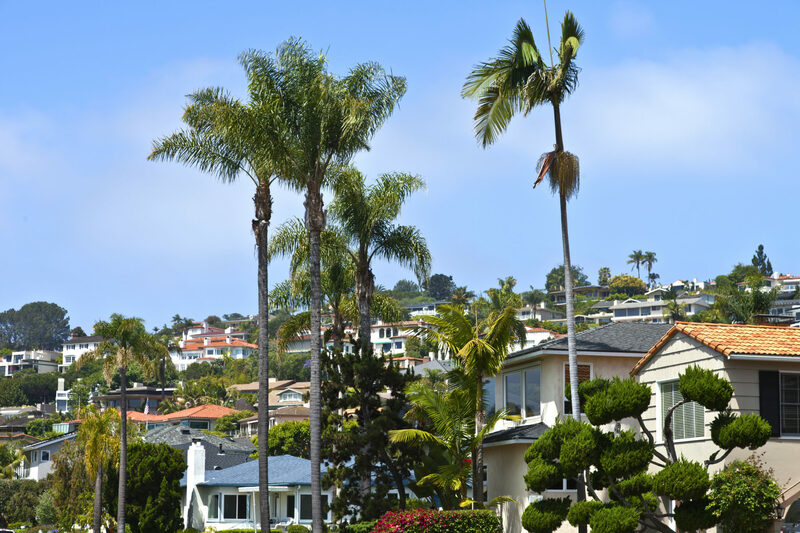 Host Compliance concluded the largest concentrations of rentals in the city were in Mission Beach, Pacific Beach, La Jolla and downtown – all major tourism meccas. The SANDAG analysis showed those same neighborhoods had among the highest concentrations of San Diego homes considered off the market. SANDAG officials caution their recent calculations weren’t focused on vacation rentals and that they are preliminary estimates. They were simply trying to gauge how many homes are unavailable to San Diegans. “We were not attempting to model or understand Airbnb or VRBO,” said Ray Major, SANDAG’s chief economist, referring to another site that offers vacation rentals. Dmitry Messen, a senior modeler for the agency, said SANDAG’s method was conservative. “If anything, we’re underestimating,” Messen said.